The 850-CALL-JOE Law Firm handles DUI cases as discussed throughout the website but a question that always arises is what is reckless driving. Reckless driving is defined by Florida Statute Section 316.192, there are two elements that must be proven beyond and to the exclusion of every reasonable doubt in order for the prosecutor to prove this crime. The elements are 1) the Defendant drove a vehicle in Orange County, FL and 2) the Defendant did so with willful or wanton disregard for the safety of persons or property. The term “willful” has been defined in Florida as knowingly, intentionally and purposely. While the term “wanton” has been defined under Florida law as an intentional or conscious indifference to the consequences and with knowledge that damage was likely to be done to person or property. The term “vehicle” has been defined under Florida law as any devise by, in, or upon which any person or property may be or is being drawn or transported upon a highway. In some fact specific DUI cases in Orlando, Orange County, FL, the prosecutor may offer a plea bargain to “reduce” the charges to reckless driving alcohol related. The punishments for reckless driving under Florida law include four (4) points being added to your Florida driver’s license if you are adjudicated guilty of the charge. If the court agrees to “withhold adjudication” then no points will be added to your Florida’s driving record. The maximum punishment for a reckless driving charge in Florida is ninety days (90) days in the County jail and a five hundred dollar ($500) fine, unless you have a prior offense of reckless driving, in which case the maximum punishment is six (6) months in the County jail and a one-thousand dollar ($1,000.00) fine. The reduction to reckless driving typically requires less jail time considering that even a first DUI in Florida (when no property or personal injury is alleged) is punishable by a maximum of six (6) months in the county jail. When the prosecutor does determine that the appropriate plea bargain offer in a DUI case is a wet reckless they will also most likely attach certain special conditions to the probation period. In the wet reckless cases where alcohol or drugs contributed to the wanton disregard to the safety of people or property, the judge can require the person accused to complete an evaluation and DUI educational classes for alcohol or substance abuse. Failing to comply with the DUI counseling requirement after a reckless driving plea can result in a suspension of your Florida driver’s license. Some Attorneys would argue that there is significant benefit to a plea to reckless driving rather than DUI. Attorney Joe Knape will in some cases agree with that opinion and other circumstances not so much. A prosecutor may reduce the charge because there are flaws in their case. A DUI trial is certainly not impossible to win for the defendant and to accept a resolution that still imposes many of the same consequences as a DUI is a bad decision. On the other hand DUI is an enhanceable crime and if you decided to go to trial and were unsuccessful then any future DUI conviction could result in a longer driver’s license suspension and minimum jail time. The main reduction that makes the most impact is the fact that a prosecutor can agree to a withhold of adjudication on the reckless driving which allows you to be eligible seal the criminal record as soon as probation is completed. Another significant reduction from a DUI during a reckless plea bargain is the potential for no driver’s license suspension. 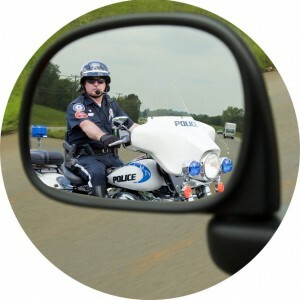 A DUI requires a driver’s license suspension but reckless driving does not. Also, the court is not required to impose DUI school, community service hours, a fine, or any of the other requirements that are mandated in a DUI case under Florida law, but realistically when the charges are reduced these are almost always included in the special conditions of probation. The criminal offense of reckless driving is often difficult to prove under Florida law, although it can be very valuable in resolving a DUI case so that the client can avoid a DUI conviction. Contact Orlando DUI Lawyer Joe Knape who has the experience and knowledge for fighting Reckless Driving cases. A free consultation is always available with 850-CALL-JOE Law Firm so there should be no hesitation to calling and discussing the particular facts of your case.